USA Powerlifting, the National Governing Body for the sport of Powerlifting in the United States has announced today the adoption of a blanket ban forbidding transgender athletes from participating in USAPL sanctioned events. The move is surprising given that other Olympic National Governing Bodies (USA Hockey, Scottish Athletics), the NCAA, the IOC, Crossfit, and other organizations have been moving forward in adopting policies that are more inclusive for transgender athletes. As the world of sports continue to evolve, more transgender athletes are participating and scientific reports (Reeser, 2005), (Jones, Arcelus, Bouman, Haycraft, 2017) that increase our understanding of the physiological effects of hormone replacement therapy have on the body. It is a step back, based on outdated science, stereotypes, and conscious ignorance regarding the participation of transgender athletes in sports. “The first has to do with the use of testosterone or other androgens, commonly used to assist in transition from female to male. By virtue of the anabolic nature of these compounds, they are not allowed, nor is a Therapeutic Use Exemption granted for such use for anyone. This applies to any and all medical conditions which might be treated through use of androgens. The USAPL isn’t exactly working on modern science to base their policies as much as they are on age old opinions, stereotypes and myths. However, it does show that much more education and research is needed in order to develop policy that handles these arguments in a way that is productive, educational and inclusive. Which is why organizations such as USA Hockey, Scottish Athletics, NCAA, Crossfit and the IOC have adopted inclusive policies for the participation of transgender athletes. Even USA Weightlifting, which is a similar organization to USA Powerlifting but focuses on the slightly different sport of Olympic Weightlifting has a transgender inclusion policy, albiet it needs a little work itself. It is still more progressive and inclusive compared to USAPL’s blanket ban which is simply trying to avoid the issue. A full on blanket ban is rooted in ignorance that limits the possibilities of furthering our knowledge and understanding of these issues. While the USAPL has decided to take a step back, the United States Powerlifting Association which is another organization that sanctions competitive powerlifting events in the United States has a more trans inclusive policy on their books that is designed to help encourage inclusion and participation. 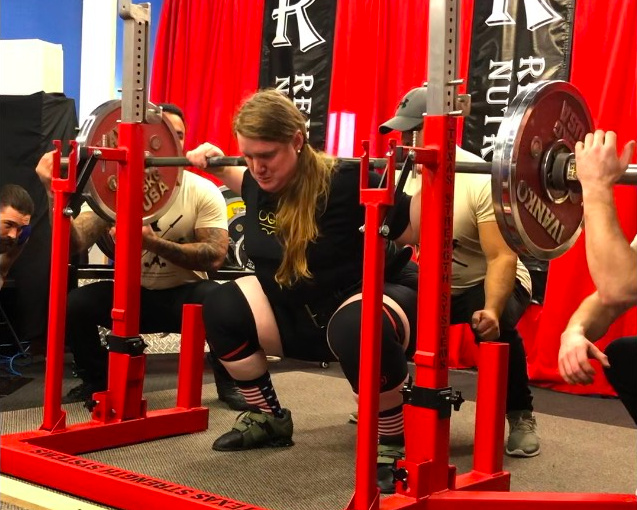 While it still needs more development, the USPA is leading the way toward inclusion of transgender athletes in Powerlifting. Through participation, we can shape policies that are more inclusive for transgender, intersex, and non-binary athletes that ensure a fair playing field for everyone. Stay tuned, we will have an exclusive article with an openly trans powerlifter who will share her story in competing for USPA and her experiences trying to compete at the USAPL, including her perspectives and experiences on the ban!